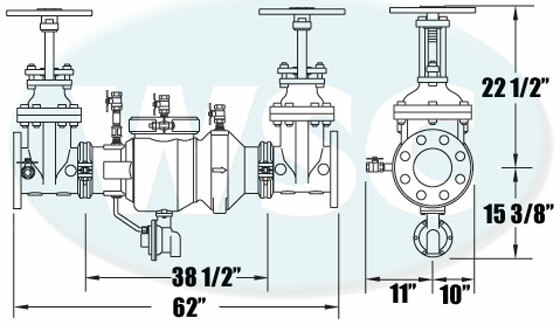 Wilkins Model 375A with NRS (Non Rising Stem) gate valves. Designed for replacement of your pre existing device or brand new installation. This 375A is an epoxy coated cast iron flanged device. Single access cover, high quality plastic cam check assemblies. The relief valve is constructed of lead free bronze. NRS valves are epoxy coated cast iron series 406 resiliant wedged NRS valves.